Worldline India is proud to present “Digital Payments Report”; an in-depth analysis of payment trends across traditional channels like debit and credit cards and new payment methods like mobile based payments, e-wallets etc for the year 2018. The report also analyses the consumer spending pattern across all categories based on the transactions facilitated by Worldline India. In addition, report also analysed the payments landscape in China as well as on how UPI 2.0 will lead to the development of a new ecosystem. · The Indian e-commerce market has the potential to grow more than four folds to US $150 billion by 2022 supported by rising incomes and a surge in internet users. · December witnessed the highest number of transactions while November 4 ranked as the day with the highest number of transactions followed by June 16 due to the highly celebrated festivals Diwali and Eid-ul-Fitr respectively. · The merchant categories with the highest volume and value of transactions in 2018 were Grocery Stores and Supermarkets, Restaurants, Service Stations, Clothing Stores and Hotels which accounted for about 45% of transactions. 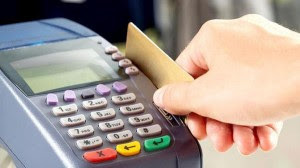 · The transactions at POS terminals increased from 4.6 billion transactions in 2017 to 5.8 billion transactions in 2018 (up by 26%), the share of card transactions at POS terminals to total card transactions remained constant at 35% to 38% only. · The value of transactions at POS terminals have increased from INR 8.8 trillion in 2017 to INR 11.3 trillion in 2018 (up by 27%), the share of value of money spent through cards at POS transactions to total money spent through card transactions at POS terminals and ATMs went up from 25% to 26% only. · The number of POS terminals increased by 17% while the number of ATMs reduced during the year indicating that despite advances being made in digital payments; cash is still king. · 29% of all transactions done on POS terminals were done through credit cards and they translated to 50% of the total amount spent on POS terminals. · NETC transactions in 2018 stood at 221 million, a jump of 110% over 2017 and the value of transactions was INR 51.5 billion, an increase of 79.7% over 2017. · The number of ATMs decreased from 0.22 million in 2017 to 0.2 million in December 2018. However, cash withdrawals have bucked the trend of reducing ATMs; in 2018, cash withdrawals stood at INR 32.69 trillion, a rise of 21.2% over 2017. · The number of transactions done on mobile wallets in 2018 was 3.98 billion, an increase of 33.4% over 2017 while the value of transactions in 2018 was INR 1.73 trillion, an increase of 81.46% over the previous year. · In 2018, the total number of credit card transactions was 1.68 billion transactions, an increase of 24% over the previous year and the total number of debit card transactions was 13.62 trillion transactions, an increase of 16.1% over the previous year.